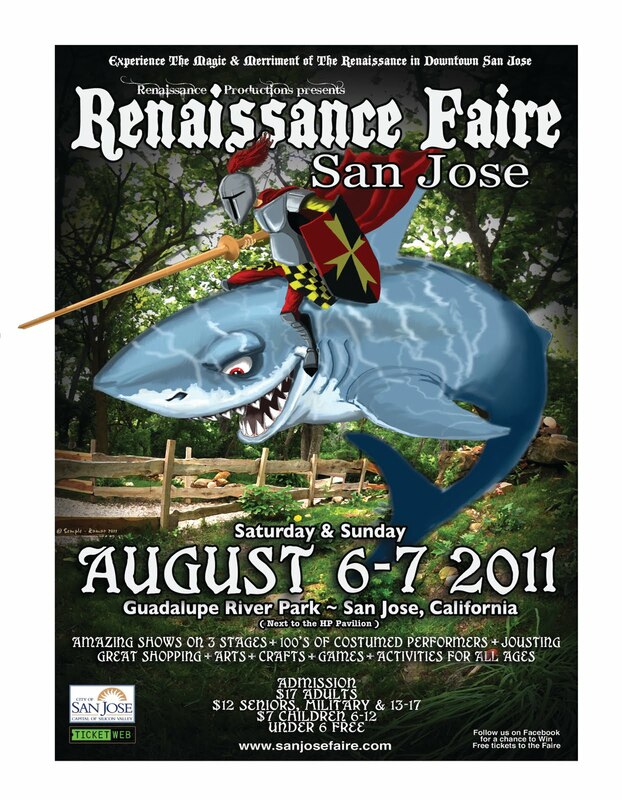 The San Jose Blog: Renaissance Faire is coming Downtown! Renaissance Faire is coming Downtown! Wow, this is an interesting new event for Downtown San Jose I really didn't see coming. On August 6th and 7th, Guadalupe River Park will be transformed into a medieval kingdom complete with jousting, minstrels, magic, and of course the obligatory turkey legs. You can find more information on the First Annual San Jose Renaissance Faire in the poster below or at there website right over here.